Sitting on the fencepost staring at us through the glass office door. 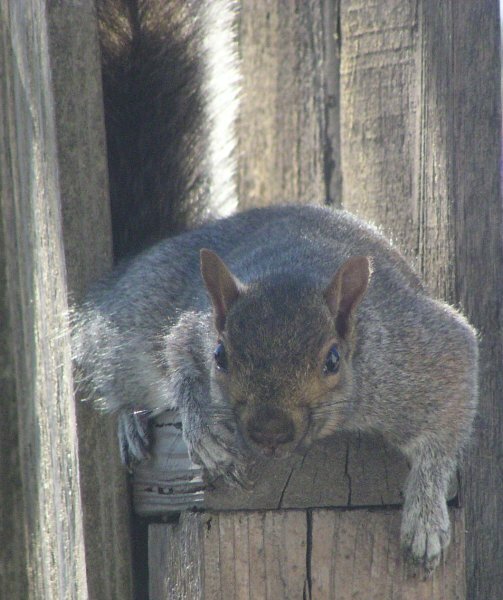 "C'mon, I know you have more nuts in there. What'cha waiting for?"